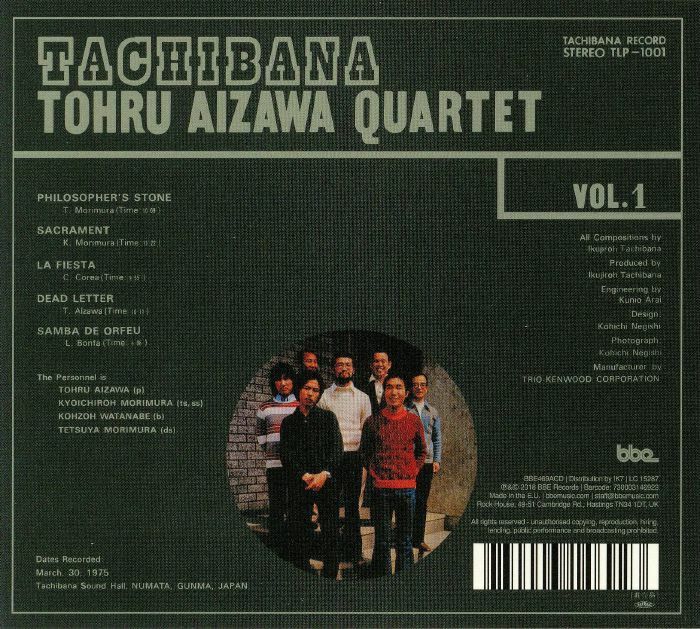 TOHRU AIZAWA QUARTET Tachibana Vol 1 vinyl at Juno Records. A true Japanese jazz holy grail album; this 1975 album was made solely as a business card for an influential businessman and only a few hundred were known to be pressed. The quartet comprises a group of students who never shared a stage with each other and only formed for this one album yet the album sounds as if they've been playing together for decades. 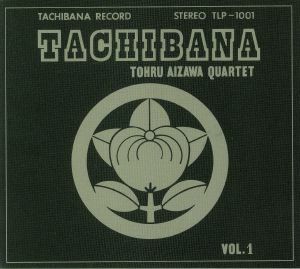 Deep modal jazz, frenetic, fizzy and energetic, these five tracks are some of the most coveted and sought after songs from the Japanese jazz golden age. This is an incredible piece of curatorial work from BBE.